MDToolbox, an industry leader in e-Prescribing software and services, recently achieved Meaningful Use Stage 3 certification for its e-Prescribing product, MDToolbox-Rx v4.0*. MDToolbox, an industry leader in e-Prescribing software and services, has been honored with the Surescripts 2016 White Coat of Quality award. This is the fifth straight year that MDToolbox’s flagship e-Prescribing product, MDToolbox-RX, has received the award. MDToolbox, a leading e-Prescribing services company, announced today that its e-Prescribing solution, MDToolbox-Rx, has enhanced its EPCS (Electronic Prescribing of Controlled Substances) module by adding time saving push notifications for controlled substance signing. MDToolbox specializes in quality, safe e-Prescribing that can be used stand alone by Prescribers, as well as integrated with other healthcare software systems. The MDToolbox Rx product has been certified to send Controlled Substances since 2012 and was one of the first in the stand alone industry to offer electronic sending of all prescription types. MDToolbox, a leading e-Prescribing services company, has introduced another software tool to its product suite. The new MDToolbox-IDP product is designed to integrated seamlessly with other software sign up modules. The product meets strict healthcare identity proofing standards and is setup to for both push and pull status notifications. Contact us today to learn more. MDToolbox, a leading e-Prescribing services company, announced today that its e-Prescribing solution, MDToolbox-Rx, has been awarded the Surescripts White Coat of Quality for 2015 for a fourth consecutive year. 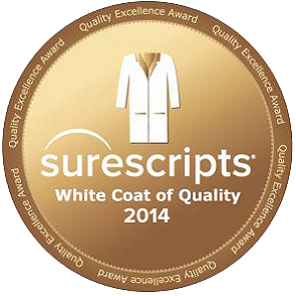 The White Coat of Quality is Surescripts’ highest recognition for software providers that uphold their strict standards for clinical quality and best practices in e-prescribing. MDToolbox specializes in quality, safe e- Prescribing that can be used stand alone by Prescribers, as well as integrated with other healthcare software systems. MDToolbox is at HIMSS 16 Conference. 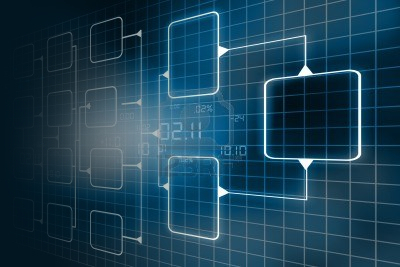 Contact us to setup a meeting or stop by our booth. MDToolbox, a leader in e-Prescribing software and services, announced today that they have added a certified real-time Electronic Prior Authorization module to their e-Prescribing product, MDToolbox-Rx. MDToolbox, an industry leader in e-Prescribing software and services, is proud to announce its e-Prescribing system, MDToolbox-Rx, has been awarded the Surescripts White Coat of Quality for 2014 for a third consecutive year. The White Coat of Quality is Surescripts’ highest recognition for software providers that uphold their strict standards for clinical quality and best practices in e-prescribing. MDToolbox, an industry leader in e-Prescribing software and services, is proud to announce it has certified MDToolbox-Rx Mobile for Electronic Prescribing of Controlled Substances (EPCS). The certification enhances prescribers’ ability to electronically send all prescriptions, including schedule 2-5 drugs, with a smartphone or tablet. MDToolbox, an innovative leader in Health Information Technology software and services, announced today that it has partnered with Surescripts, the nation’s largest health information network, to expand its offerings to include a secure clinical messaging module. The new module allows secure Direct Messaging Health Information Exchange (HIE) via the Surescripts network. The health information network includes both clinical messaging that meets the Meaningful Use Stage 2 transition of care objectives and also a network directory, enabling providers to efficiently locate community partners they need to exchange clinical data with. MDToolbox, a leader in e-Prescribing software and services, is proud to announce that its key product MDToolbox-Rx recently earned the Surescripts White Coat of Quality award for 2013. The White Coat of Quality award is Surescripts’ highest recognition and only given to software providers who uphold their strict standards for clinical quality and best practices in e-prescribing.